Releases on 21/05/2019. 33 Days left to Preorder! Sonic returns as he’s ready to go faster than ever! 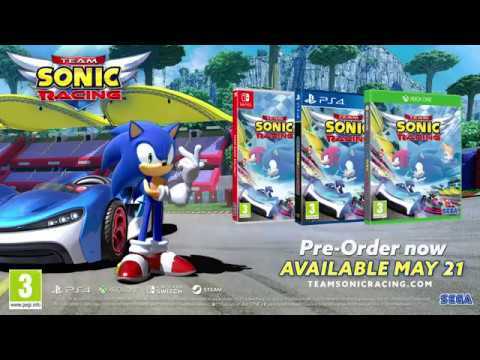 Pre-order Team Sonic Racing on Nintendo Switch today. You’ve gotta go fast in SEGA’S newest game announcement, as you join Sonic and friends to enjoy fast-paced competitive racing. 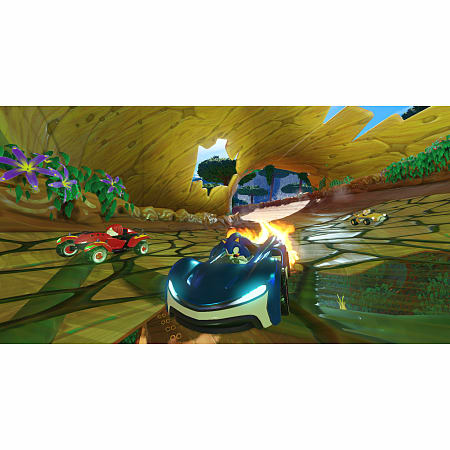 Enjoy online multiplayer to race against up to 12 other players or enjoy the many co-op modes including 4-player split screen. Choose from up to 15 playable characters and customize their appearances and your racing vehicle to look the part when you cross the finish line. 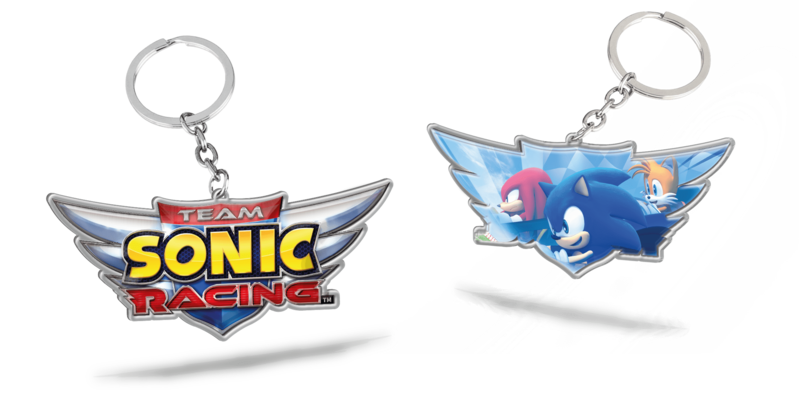 Pre-order and purchase Team Sonic Racing and receive GAME Exclusive keyring. 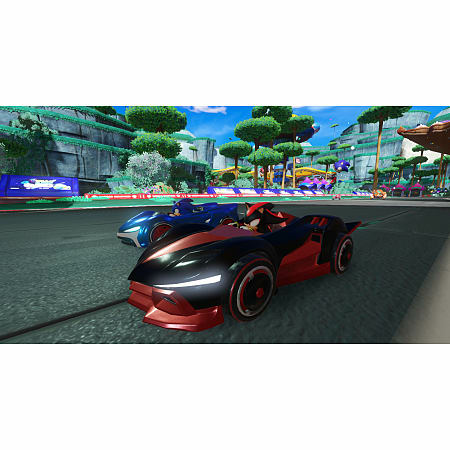 GAME Exclusive – Team Sonic Racing for PS4, Xbox 1 & Switch is only available at GAME stores or at www.game.co.uk/ in the UK. Pre-order Team Sonic Racing and receive a free key ring. Pre-orders made before 12/04 will be eligible to receive this item. Available instore & online. Subject to availability, one (1) free item only per person. GAME reserves the right to amend or cancel this offer at any time without prior notice. This offer cannot be used in conjunction with any other offer. GAME reserves the right to refuse anyone believed to be representing a trade buyer. Your legal rights are not affected. Sonic returns with friends in the newest announcement from SEGA. Pre-order Team Sonic Racing on Nintendo Switch today and prepare to go fast! Prepare for the race of your life with Sonic the Hedgehog and friends! With 15 playable characters, you can customize your vehicles to win in style. A variety of game modes are available including single player and various multiplayer modes too. 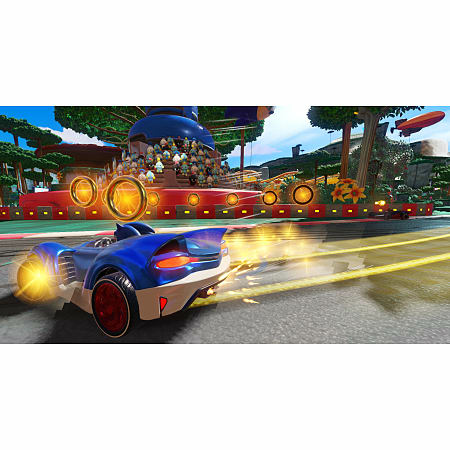 Team Sonic Racing also features story mode elements to make the arcade competitive racing even more interesting and fun! Play with friends, online and get ready to go as fast as you can. 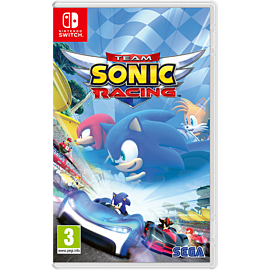 Pre-order Team Sonic Racing on Nintendo Switch today.